Tips for coding in the Salesforce Marketing Cloud (formerly ExactTarget) platform. This leverages the AMPscript API functions and mirrors the process you’d take if you were doing this with the Marketing Cloud SOAP API. In Marketing Cloud, there’s not really a good way of finding the original data source for a subscriber in a send — especially if you’re sending to multiple data sources for every send. There is, however, a personalization string called _DataSourceName, outlined on the Data About the Recipient section of the Personalization Strings page in the documentation. 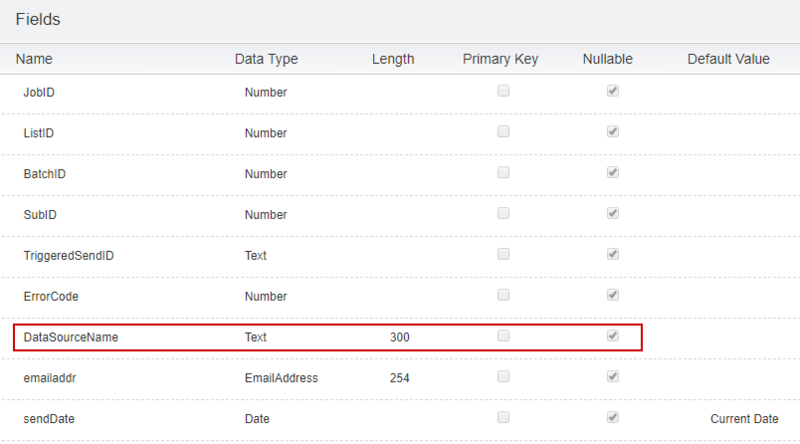 Once you have this data in your Send Log Data Extension, you can correlate it with other data using a Query Activity or export for use outside Marketing Cloud. Doing it this way will get you past the no-ANSI-JOINs restriction in SFMC.